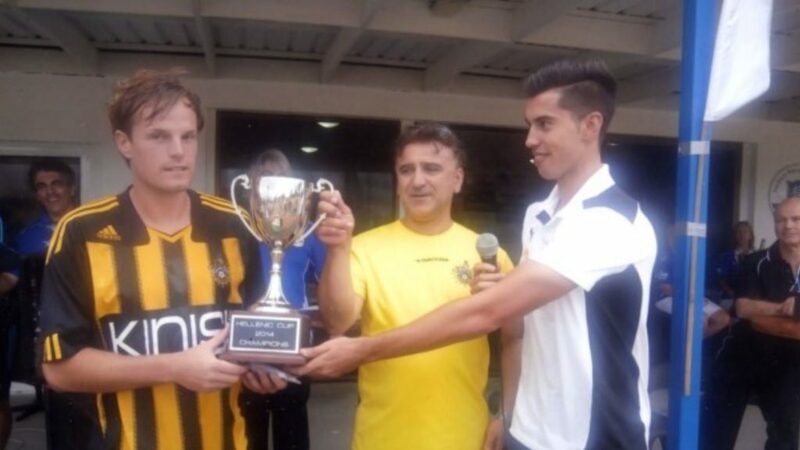 Flashback to five years ago in Surfers Paradise, when a young 21-year-old Brisbane Roar footballer, George Lambadaridis, was a guest of honour at a Hellenic Cup final involving Brisbane Olympic and a visiting interstate side Heidelberg United. The Bergers won the final and after the match Lambadaridis presented the then 30-year-old Bergers skipper Luke Byles with the Cup trophy. Flash forward back to the present, and those two players will meet once again at Olympic Village in a keenly contested NPL Greek derby between Heidelberg and Lambadaridis’s new club, Bentleigh Greens currently sitting second and third on the NPL ladder respectively. Byles will once again lead the Bergers out on to the park, as he has over the last two seasons, including the last two when the Bergers have been the NPL’s most successful team. Lambadaridis left the Roar after an injury led to his not being re-signed and returned to the Victorian NPL in 2016 for two seasons at Green Gully before signing with Bentleigh this season, where he has featured in all eight league matches this season, in the midfield. Speaking to Neos Kosmos in the lead up to the game, Lambadaridis says he expects a totally different match to the first time the two sides met earlier this year, when they contested the season curtain raiser, the Community Shield, which the Greens won easily 2-0. Apart from football, Lambadaridis has built himself a good business off the park as well. 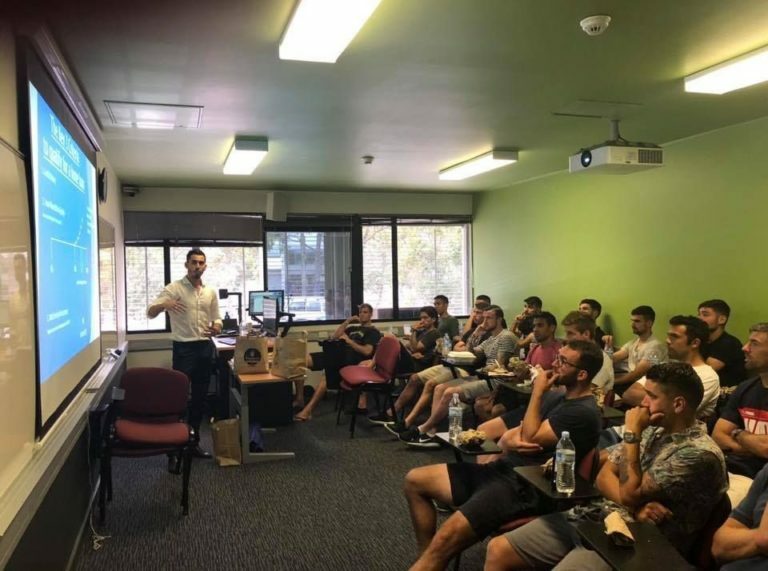 A Monash University graduate with a Bachelor degree in Business, he combines his work as a mortgage broker, with a passion for educating others and in collaboration with the PFA (Professional Footballers Association) he is active in helping to educate professional footballers about managing their finances.